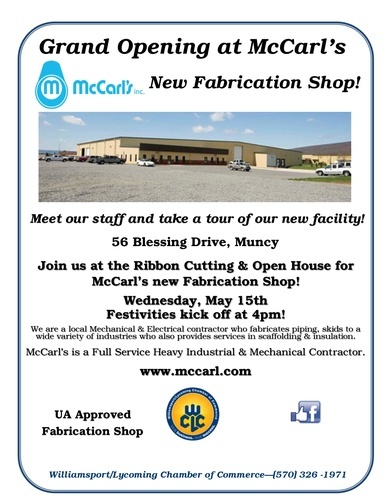 Join us at the Ribbon Cutting & Open House for McCarl’s new Fabrication Shop! Festivities kick off at 4pm! Checkout our new UA Approved Fabrication Shop! Meet our staff and take a tour of our new facility!